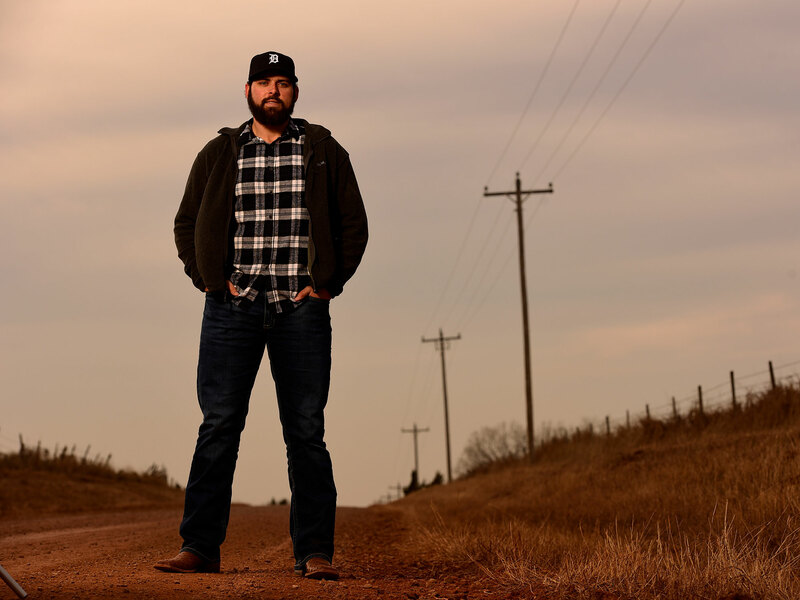 Michael Fulmer came through the door of his home in rural Guthrie, Okla., with news. “Guess what!” he announced to his wife, Kelsey. It was December of a whirlwind year in which the 23-year-old had reinvented his out pitch, forced his way into nearly a full season in the majors and won the AL Rookie of the Year award, so she waited to see what was prompting his delight now. Fulmer’s reactions have always been more muted than most people’s, so his exuberance about the sink stood out. When he first agreed to fill in for a friend by working for Cyrus Wright Plumbing in the fall of 2014, Fulmer saw an opportunity to keep busy in the winter, supplement his meager minor league salary, and get a different kind of workout—digging ditches for sewage lines and hauling water heaters. On his first day, he says he thought, What have I gotten myself into? And what’s that smell? But the more time he spent helping out, the more interested—and capable—he became. The young man who once had to have tools described to him by their location in the truck because he didn’t know their names began to anticipate what would be needed for a given job. So he kept coming back during the off-season, even as his baseball salary increased to the league minimum of $507,500 this year. From October until early January, when he begins his preseason throwing program, he climbs into his black Ford pickup at 7:15 a.m. about three days a week and makes the 30-minute trip to Yukon, Okla., where he and boss Larry Wright work eight to 10 hours installing equipment and fixing leaks. It’s usually a crew of two, and there aren’t many plumbers in the area, so they rarely end their days early. Most often Fulmer is strictly a helper—think the nurse who hands the scalpel to the surgeon—but one day last month, as Wright supervised, Fulmer took the lead and hooked up a bathroom sink for a client. It may seem odd that the Rookie of the Year spends his off-season as a plumber. It is odd. It also makes perfect sense. Fulmer had toyed with a changeup before but discarded it when he realized he could simply blow the ball by minor leaguers. Dubee made him throw 30 changeups in a row in his next bullpen session, focusing on extending his right wrist and aiming for the catcher’s knees to keep from hanging the pitch. Something about the looseness of the grip and the direction of the delivery clicked. “Where did that come from?” bullpen catcher John Murrian asked afterward. There was another problem, though: The strikeouts were turning heads, but so were the pitch counts—for the wrong reason. So Fulmer rethought his philosophy. “I don’t want to miss bats,” he decided. “I want to miss barrels.” He started challenging himself to get more first-pitch outs, and he allowed himself to feel as good about an early-count ground ball as about a whiff. Both changes had the same effect—reducing stress on his arm and allowing him to pitch deeper into games, as well as deeper into the season. From the day of that changeup bullpen session, he had a 2.58 ERA with seven strikeouts per nine over 22 starts. He joined the Cubs’ Jake Arrieta as the only pitchers in history to make four straight scoreless starts of at least six innings while allowing no more than three hits in each. For the season he allowed the fourth-fewest extra-base hits per nine innings in the league. The heavy sinking action on his fastball kept the ball on the ground; his hard-breaking slider generated swings and misses; and by the end of the season that changeup was the sixth-hardest to hit in baseball. 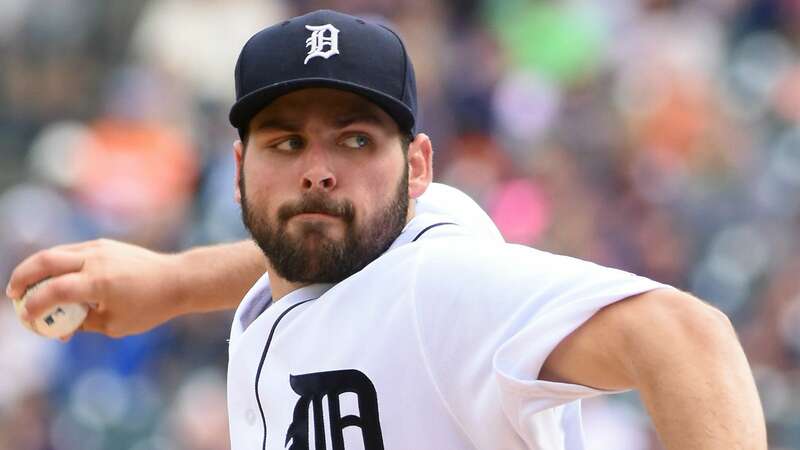 Fulmer’s success helped keep Detroit in the playoff chase until the final game of the season, and despite a torrid closing surge by Yankees catcher Gary Sanchez (nine home runs in 22 games), Fulmer won the Rookie of the Year award with 26 of 30 first-place votes. Former Tigers manager Jim Leyland, now a special assistant to the GM, joked with Mets skipper Terry Collins after the All-Star break: Got any more MichaelFulmers you’d like to trade? Still, Fulmer never felt completely comfortable. He had no idea how long it might take Greene’s blister to heal—a few weeks, maybe? When he arrived in the majors, he figured he’d make a couple of starts and return to Triple A Toledo. He checked into a hotel in Detroit. As the weeks went by and the numbers piled up, he started to settle in, but no one ever did tell him he was safe. So, just in case, he stayed in that same hotel room until October. 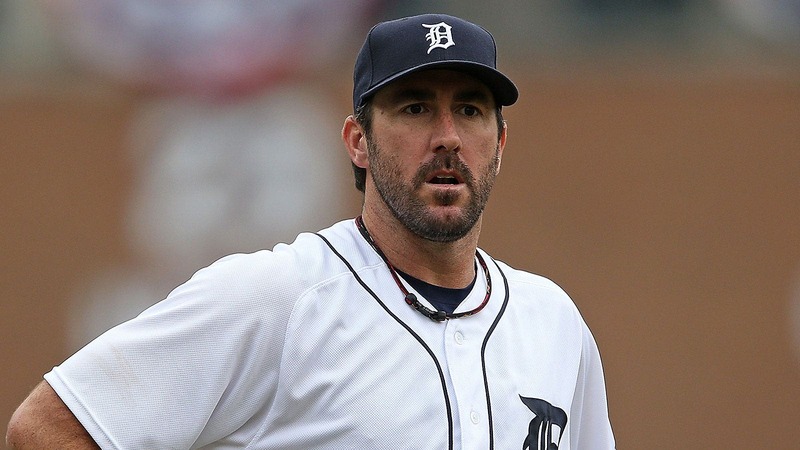 Tigers ace Justin Verlander had known even earlier, taking an interest in the kid during spring training in Lakeland, Fla. We’re going to need this guy, the 33-year-old veteran thought when he saw the prospect throw. Verlander—who won his own Rookie of the Year award in 2006 and followed that honor with a Cy Young, an MVP and four strikeout titles—introduced himself to Fulmer and launched into a description of his shoulder-strengthening program, a set of stretches and low-weight lifts. They ran through the details of between-start routines and reviewed each of the veteran’s outings, but Verlander’s main contribution was perspective. Many of the Tigers’ rookie records that Fulmer matched—throwing a shutout, winning nine games before the All-Star break—had been set by Verlander, who knows how it feels to burst onto the scene and obsess over every start, every inning, every pitch. It’s a long season, Verlander would remind him. It’s a long career. Verlander is one in a long line of people Fulmer, who is always tinkering with something, has interrogated. He was the same way in high school, says Ron Moore, who coached him at Deer Creek High in Edmond, Okla.—practically running to the bench between innings to replay the frame with Moore. Why did we throw inside in that count? What if it had been 0 and 2? He spends mound visits grilling catcher James McCann about strategy, then grabs him after games to go over big league etiquette. Why does a slider make sense here? When are rookies supposed to use the training room? And he keeps Wright busy too. Why do we need to use a lathe wrench for this job? How do you know where to dig for a pipe? Fulmer’s success was unforeseeable as recently as seven years ago. He grew up playing in a local rec league, not going to showcase tournaments. He wasn’t on anyone’s radar until the summer before his junior year, partially because he was 5’6″ and 160 pounds as a 14-year-old, looking less like a future major leaguer than, say, a future plumber. 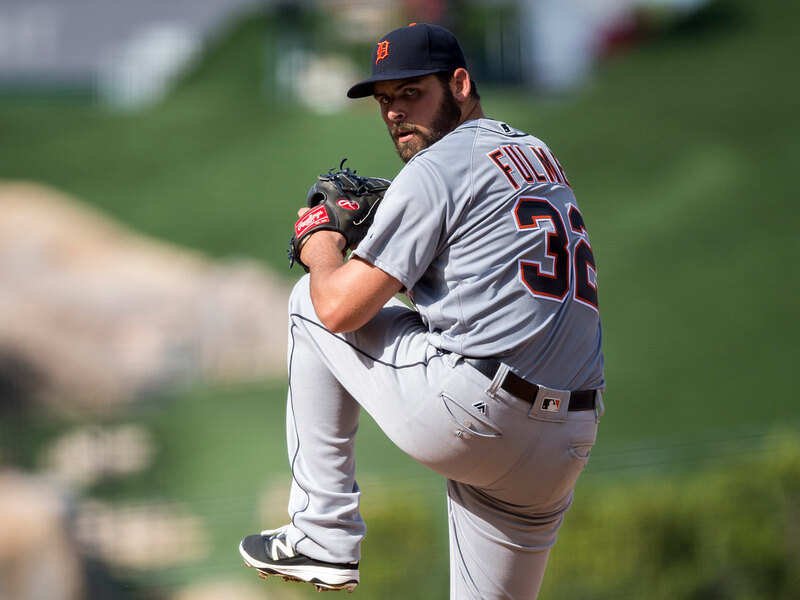 Still, Fulmer dreamed of playing in the majors. But it wasn’t until three years and nine inches later, when he started flashing 95 mph and 30 scouts showed up for a February practice, that it even occurred to him that he might be any good. And it wasn’t until he stepped out of a Hooters packed with his friends and family to take a call from David Wright in June that he realized quite how good. Wright was phoning to congratulate him; the Mets had selected him with the 44th pick of the 2011 draft. Fulmer being Fulmer, he allowed himself only a fist pump or two before thanking everyone for coming. At 7:45 the next morning, as Moore prepared for a Little League camp he was running, a tall figure strolled up to him. “What are you doing here?” Moore asked. It’s not just the physicality of plumbing, and the workout it provides, that appeals to Fulmer. (“He should be paying me!” Larry Wright says.) He likes to commit to something and finish it. He likes to see tangible results as he improves. And he likes using the left side of his brain. 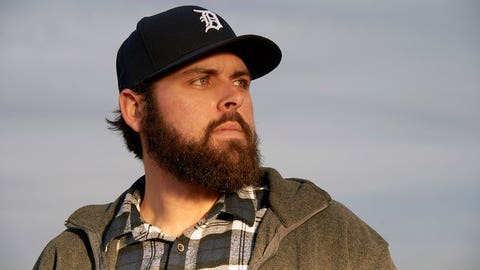 Fulmer loved math as a kid; later, when younger brother Austin had trouble with a calculus assignment, he’d text Michael, who would respond from whatever tiny minor league town he was in. And he has always been content to solve those problems quietly. Even as a first-round draft pick, he was considered a distant third behind fellow Oklahoma high school pitchers Dylan Bundy (who went to the Orioles with the fourth pick) and Archie Bradley (who went to the Diamondbacks seventh). Once he signed with the Mets, he was just another guy in the same system as Jacob deGrom, Matt Harvey and Noah Syndergaard. Now, while Verlander accommodates fans’ selfie requests with his fiancée, supermodel Kate Upton, and spends his off-season in Italy and the Bahamas and at various celebrity golf tournaments, Fulmer holes up in Guthrie. He and Wright alternate paying for lunch at the local Chili’s. Fulmer is not interested in public adoration. Which is good, because there’s certainly not much in plumbing. In fact, in the more than 100 plumbing jobs he has worked on over the last three off-seasons, not a single client has recognized him. But if he has another season like 2016, by next winter people may be almost as excited to have him install their sinks as he is to do it.